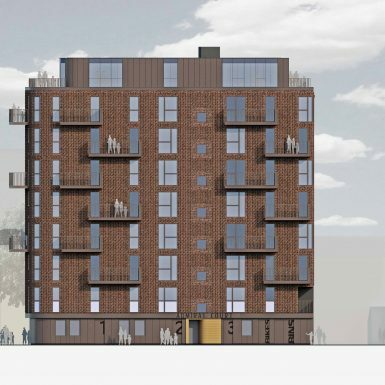 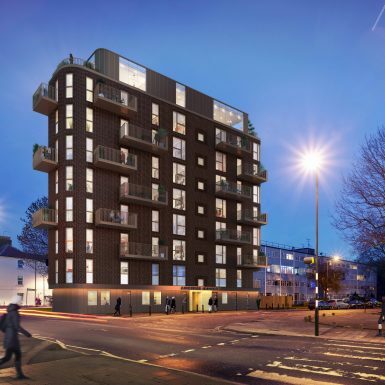 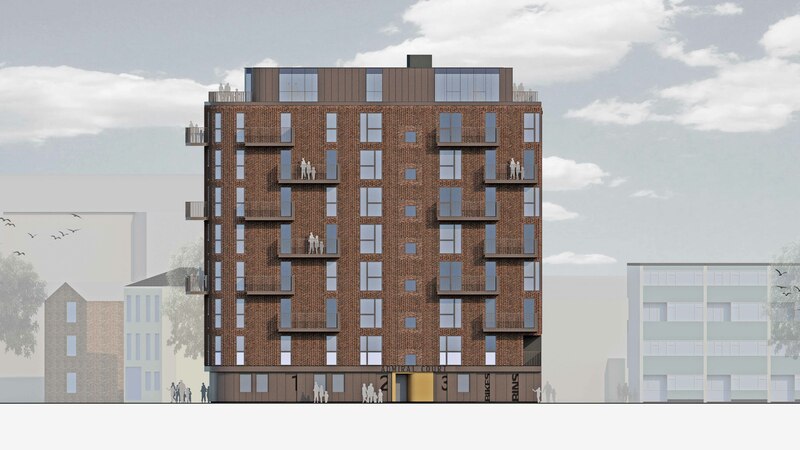 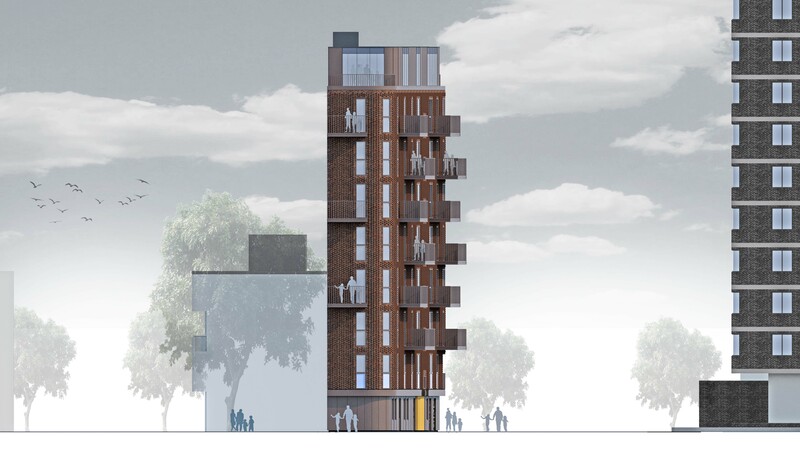 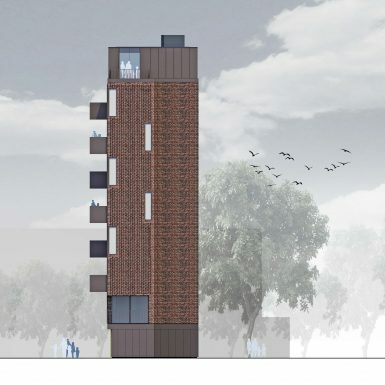 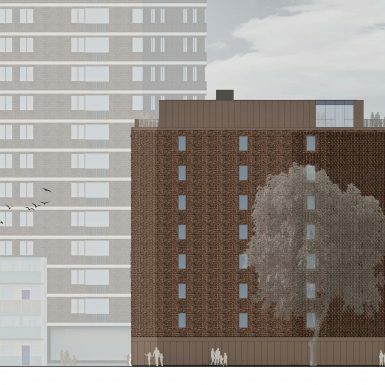 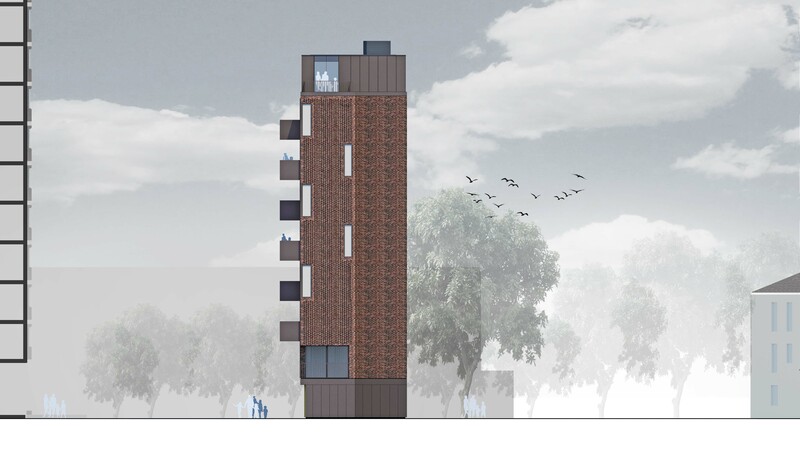 The proposal is a dramatic roof-top extension that serves to add several floors to an existing six-storey building which is currently an eyesore due to age and the weathering of an eclectic mix of cladding materials. 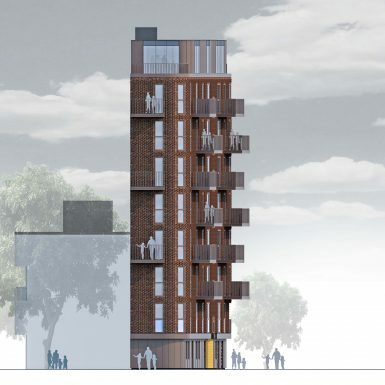 The surrounding area is fast regenerating, with many new properties coming in between seven to twelve storeys. 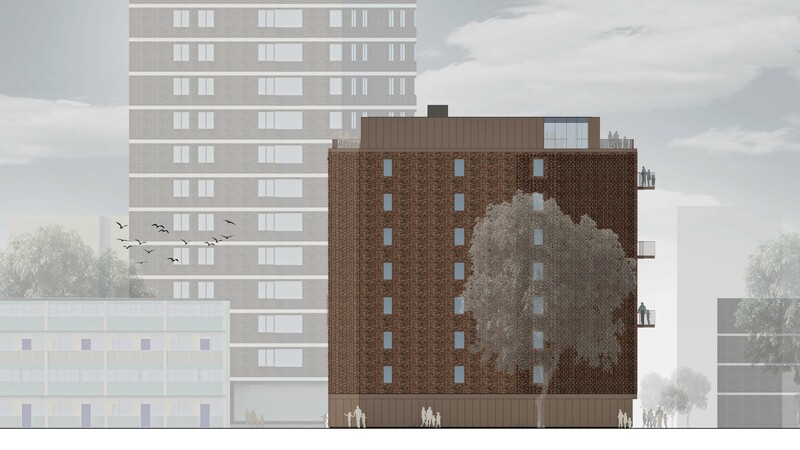 The 9-storey wedge-like building is completely transformed in its overall appearance, with an overhaul in its external envelope and cladding and the introduction of projecting staggered balconies with views towards Burgess Park. 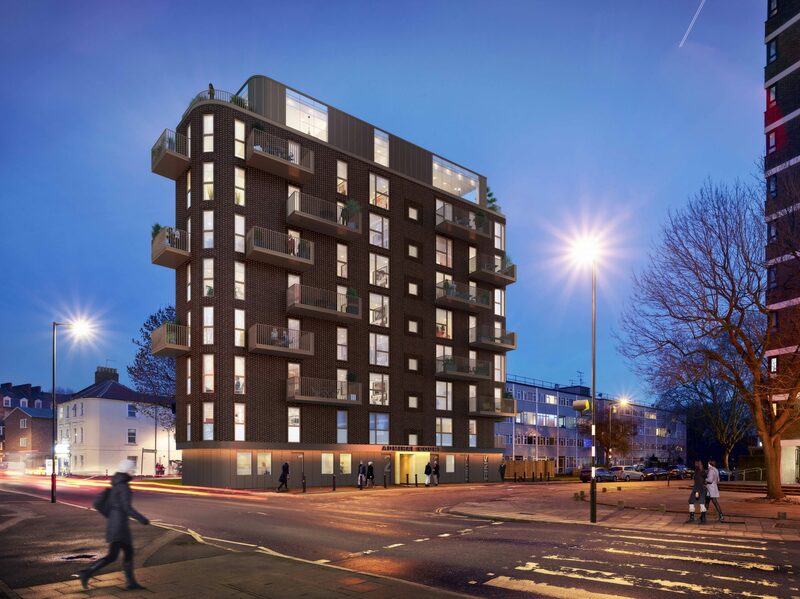 The distinctive feature brick cladding combined with the well-proportioned windows and balconies provides for an iconic architecture that will ultimately raise the profile of the area; befitting of a park front building.